If you need car delivery to Italy then you’ll need to make some preparations, a bit of forethought and research can help you find car transport services to help you make the move, alternatively you can drive your auto to Italy yourself, after all “all roads lead to Rome”. Documents: Whether driving it or getting a car imported to Italy you should always be sure that you carry the right paperwork. If exporting a car permanently you should apply for a certificate of export from the DVLA. Taking your proof of purchase, UK licence and tax is also imperative. You may use your UK tax discs for the first 6 months. Check your car over: Before your car transport to Italy journey, you should thoroughly clean and check the interior and exterior. This not only helps prevent dust damage but it also lets you see any scratches that could potentially occur during transit. Running condition: If you’re not transporting a car that you’re currently using, it’s important to double check that it’s working! If you’re buying a motor on eBay then you should pay careful attention to the seller’s description and contact them to clarify the health of the car. If it’s a new car: If you are shipping a new car to Italy then be aware that you will need to pay IVA, the equivalent of VAT on the import. A car is new if it has driven less than 6,000km or has been purchased less than 6 months before registering it in Italy. Italian residents: Can import cars duty-free if it’s been owned for at least a year. If you need more information before importing a car into Italy then make sure you check out the detailed list of regulations and taxes available at http://rome.angloinfo.com/countries/italy/motoregister.asp. If you need your Fiat in Florence pronto, there are two ways. Drive it yourself or hire an Italian car transporter. DIY: The most scenic approach to car transport to Italy involves a European road trip. If you’re going from the UK you can take a ferry or use Eurotunnel. It’s around 1,800 km to drive and would take the better part of a day do get from London to Rome. Trade Plate Driver: You can hire a professional car delivery service to drive your car to Italy if it needs importing. Because of trade plates you don’t need to tax the vehicle beforehand. Single Trailer: If you need to import a valuable car or need to transport an un-roadworthy car to Italy then you might need to employ the services of a small flatbed trailer. This is usually your most expensive option but is also the safest. 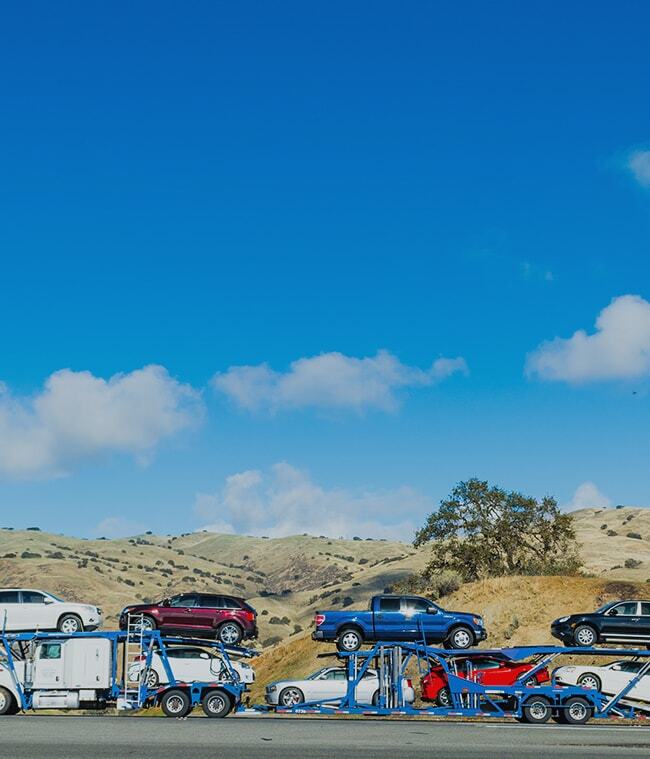 Multi Car Transport: Shipping your car on a multiple car transport can be less expensive than using a single vehicle service. Sharing the journey with other motors means that you can spread the cost. The downside is that these large transports can’t do door to door deliveries. Shipping: Transporting cars across the channel is easier than ever. You have two options when it comes to shipping: Ro-Ro services allow your vehicle to be driven on and off the ship, whilst containerised shipping will see your automobile safely transported inside a shipping crate. If you’re hiring a car importer to get your Punto to Palermo then make sure that they’re trustworthy before employing them. Check that they have adequate vehicle transportation experience, especially car delivery to Italy, and insurance cover. If you’re going to hire a transporter for your Italian car importation then Shiply can help you find quotes. Manually searching for a number of car transport to Italy companies can be tedious and time consuming, which is why with us the car transport quotes will come to you. Submit the details of your Italian car move to Shiply and car transport firms will compete on price to try and win your business. You don’t have to choose the cheapest; you can also see the feedback the driver has received from other Shiply jobs. When your vehicle arrives in Verona you should check it over to make sure it’s in the same condition as when it left home. You should check the mileage of your car to make sure no-one’s been taking joyrides. You should also scrutinise the interior and exterior of the vehicle checking for any immediate signs of wear and tear that may have been caused during transportation to Italy. When you’re free to enjoy the Italian sunshine and culture please take a break to leave feedback for your Shiply transport provider. Leaving a review will help other users find trustworthy European car transporters in the future.